Zhangjiajie National Forest Park is the first national park of China which was approved by the State Council in 1982. 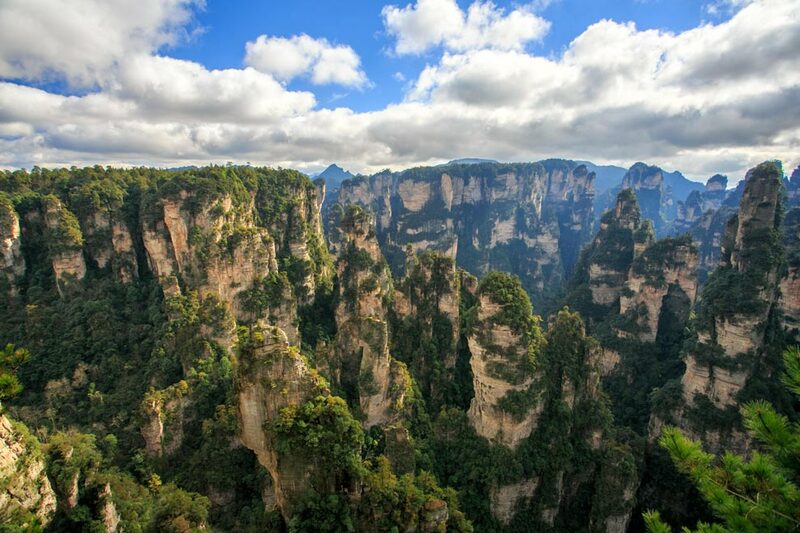 It is located in the northwest of Wulingyuan District, Zhangjiajie National Forest Park is in the neighborhood of Suoxiyu Scenic Spot and Tianzi Mountain. The area covers 480 thousand square meters. It is located 32 kilometers from urban city Zhangjiajie. The park has main scenic spots that are open to visitors. It's just in the Wulingyuan Scenic Area. The ticket is included in the Wulingyuan Scenic Area.